A high-powered attorney needs an office to reflect his stature while being able to function as both a meeting and work space. This Mad Men-esque office wouldn’t be complete without a bar, which comes in the form of a vintage sterilizer. 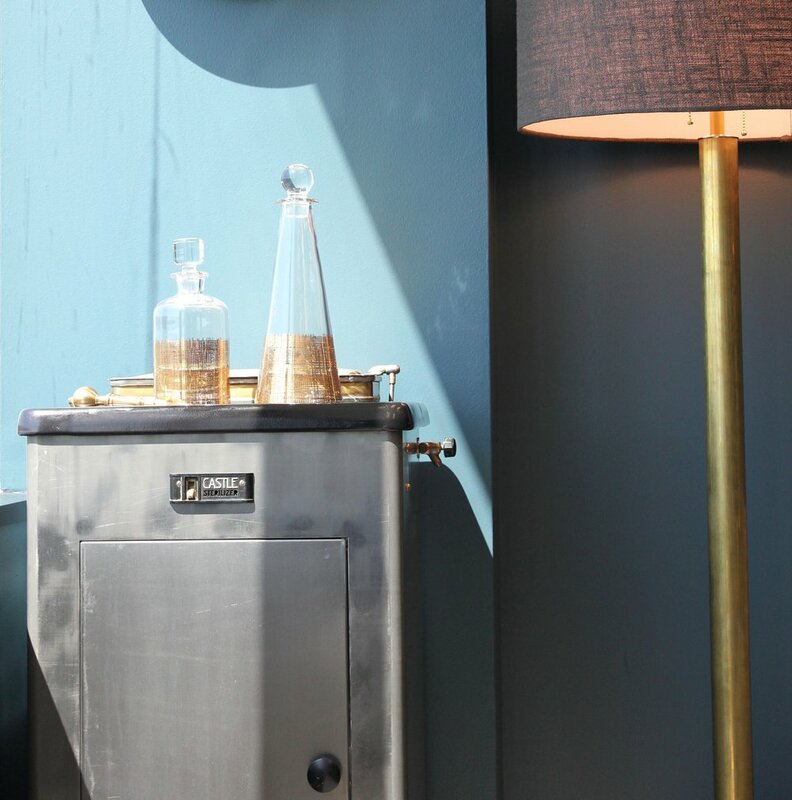 The sterilizer as well as the chairs are from Empiric Studio, and perfectly incorporates all of the metal finishes of gray, black and brass all in one piece. The large executive desk was custom made with picture frame legs, which lends lightness to the otherwise overbearing piece, and gives a better glimpse of the detailed credenza behind it. A large 14 foot blank wall houses bookshelves with open backs, allowing you to see the wall behind it, which keeps it from being overbearing.